It's been stormy here on the Pacific Coast this week... I call this "wait 5 minute" weather: It's raining? Wait five minutes and it will be clear blue skies... five minutes later the sky will be stormy again. During a walk on Surfer's Beach a few days ago, I stopped a moment to check out the colors of the sky out past the Point where they have those famous Mavericks surfing events. At first glance, my brain registered 'blue sky' but after a few moments, I saw a full range of greens and violets blending into shades of blue, with hints of gold. 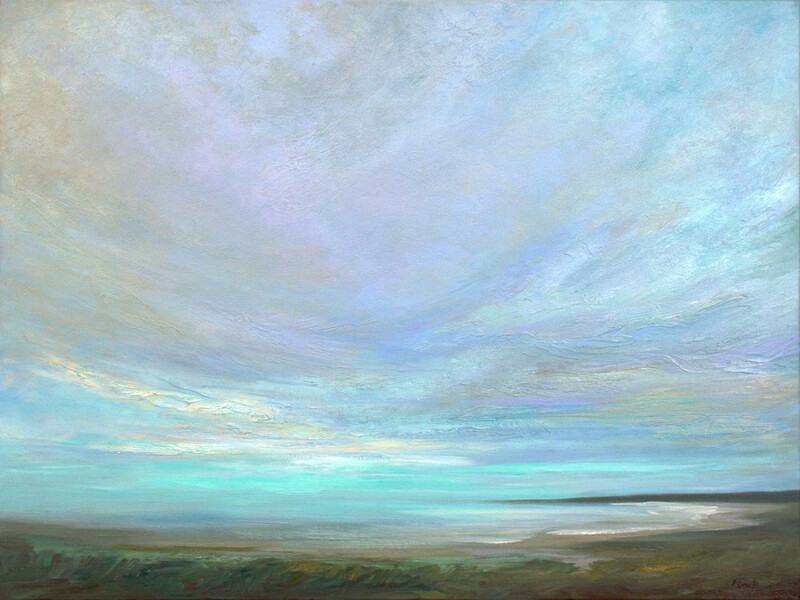 Everything about this afternoon sky reminded me of two of my coastal clouds paintings below. 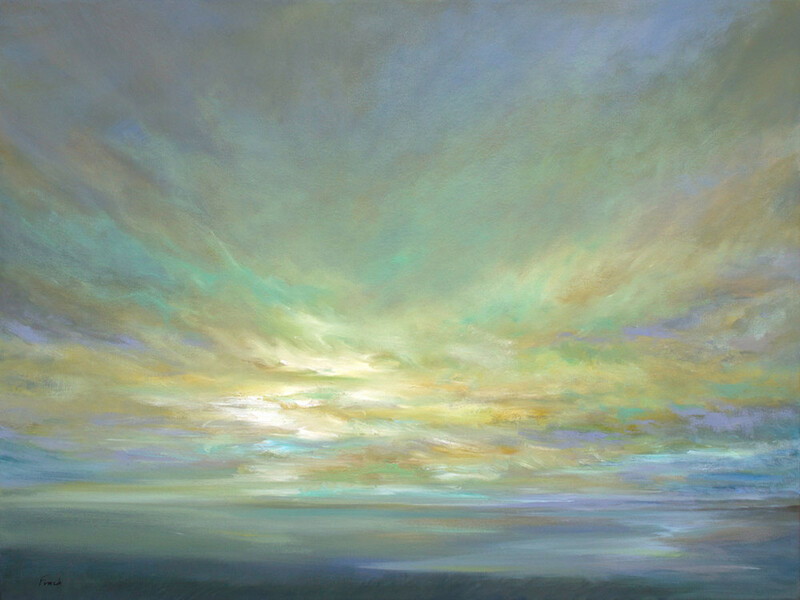 "Coastal Clouds 33" and "Coastal Clouds 16" are highly-nuanced in color and value... They took so much time to paint, but were so worth the effort! 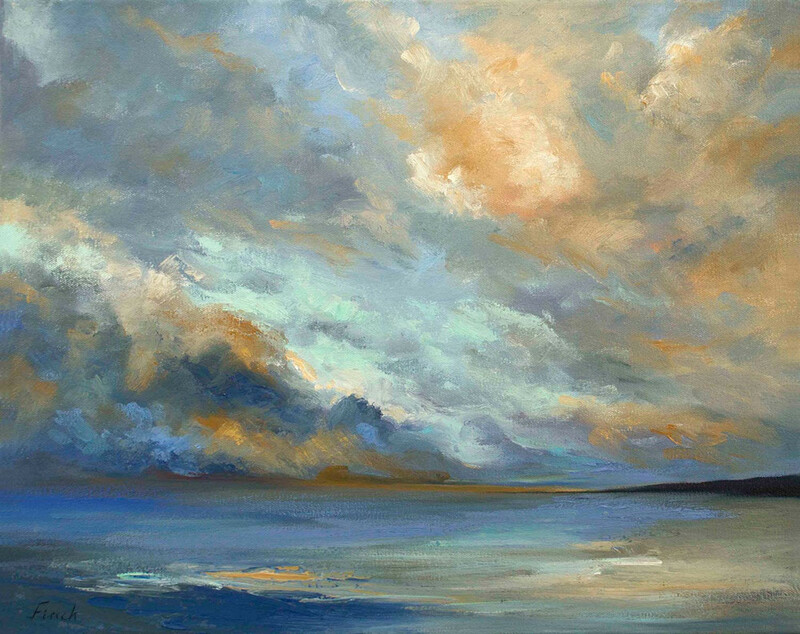 To see these and all my other coastal paintings showing with UGallery.com, click HERE! © Copyright 2018, Sheila Finch Fine Art, Inc. All Rights Reserved. Enter your email below and I'll send you a link to download 12 screensavers of my paintings! Thank you for sharing your email address. I hope you enjoy my paintings, videos and blog posts! I send out only a few emails each month and will never share your address. Because you Declined Consent for cookies, you will not be able to view this site, since the functionality of the site requires cookies to be enabled, and to access this site, you must enable cookies.